In case you were out a few days last week, our world has changed and is changing every single second of every single day. A technology that was new yesterday may be archaic today. We live in an unprecedented time where the one constant is change—rapid, warp-speed change. All of this change requires a change in the relationship between brands and their agencies. The result is this: Forward-thinking agencies are ready to serve a higher purpose than just being “idea factories” for individual campaigns, in the words of Jeff Cheong, president of Tribal Worldwide Asia. 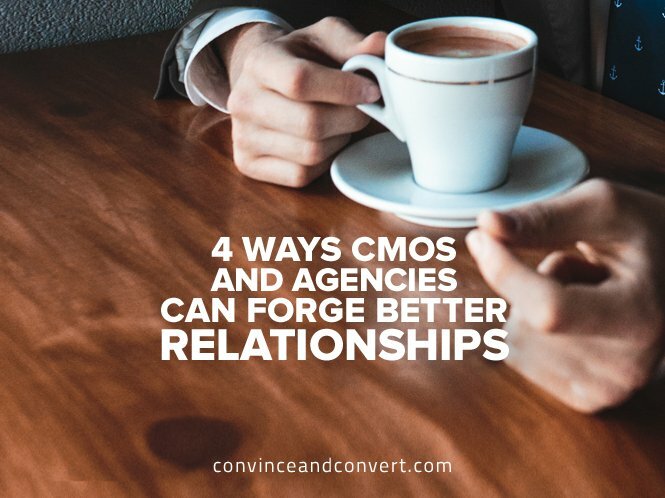 Here are four ways CMOs can forge better relationships with their agencies while achieving all the other imperatives that define marketing success today. In today’s online and digital world, every brand is global. Because of that, marketing executives must pay attention to regional differences across various international markets. Executives say brands can’t effectively connect with local customers without a strong regional presence in important markets. Some organizations are using their digital marketing prowess and knowledge of local culture to create new business opportunities. At the same time, marketing organizations also seek consistency in some aspects of their campaigns. The ability to market to an international audience is also essential for Dow Corning, which logs more than half of its sales from outside the U.S. Randall Rozin, Dow Corning’s Global Director of Brand Management and Digital Marketing, says they are constantly thinking internationally in terms of executions and planning. As executives at brands and agencies encounter fundamental changes in the marketing industry, they must find ways around the barriers that block the closer collaboration both groups need to succeed.